On Tuesday, I was delighted to attend the Diamond Jubilee celebration at the Willesden Swaminarayan Temple. It was great to see members of the Gujarati community which I am a part of celebrate along side local residents and Brent’s elected representatives, including Councillors and our local Brent and Harrow London Assembly Member Navin Shah. I’d like to wish all my blog visitors a Happy Diwali and a prosperous new Hindu year. I have accepted official invitations for Hindu New Year Annakut celebrations on Thursday 27th October from the Willesden Shree Swaminarayan Temple and the BAPS Neasden Swaminarayan Temple and am looking forward to supporting these community-led celebrations in Brent and meeting others celebrating as well. 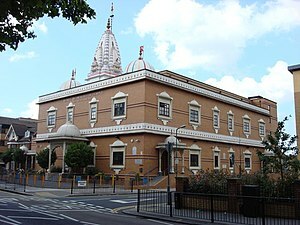 I will also be visiting temples in the London Borough of Harrow in a personal capacity.